Part of the excitement of viewing different houses here on homify is getting to see the view that those residences are treated to. You never know when you may be discovering a house that looks out onto a vineyard, a lush forest, or some majestic mountains. 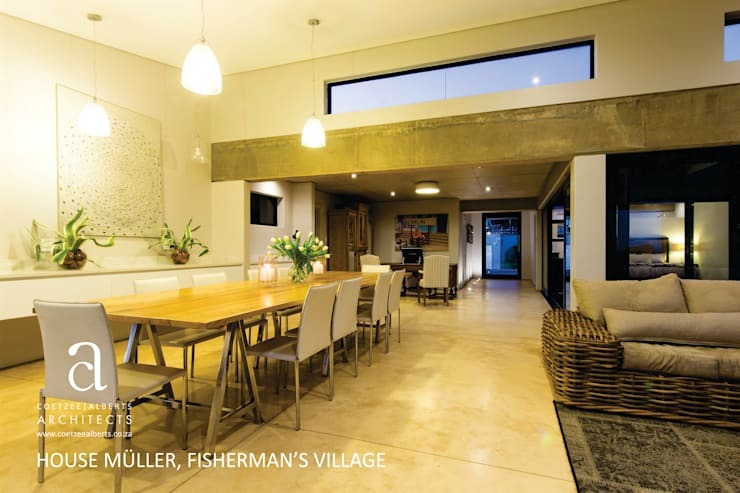 Today’s local discovery keeps it nice and nautical by treating its owners (and us) to a glamorous view of the sea at Mossel Bay. 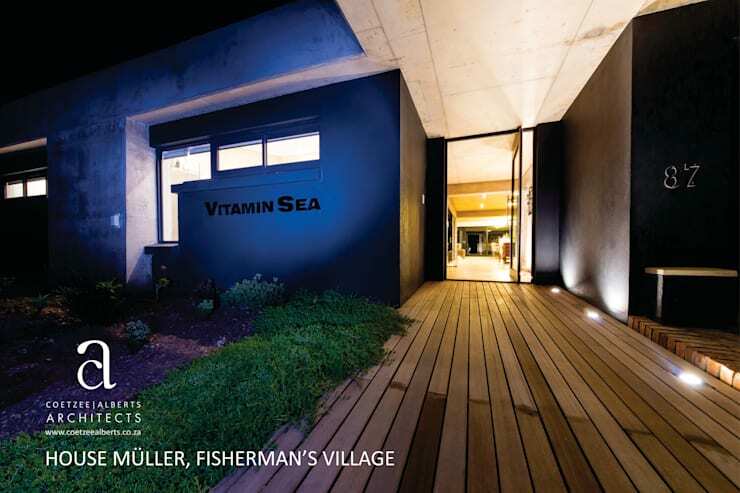 Dubbed “vitamin sea” by its creators, this modern house doesn’t hold back on the glitz and glamour, doing so with expert precision while keeping the tranquillity and relaxation levels super high – how else with sea-side living? A timber deck leads up to the front door, adorned by a lush garden on the one side. Although not clear from this image, the ocean view can be seen right from the front entrance, seeing as there’s an unobstructed view from the main entrance to the backdoor patio. On the inside of the house, all fittings and finishes were kept consistent, displaying a sense of simplicity and functionality. This was achieved so that the main focal piece of the house—the adjoining ocean – could not be eclipsed by anything. 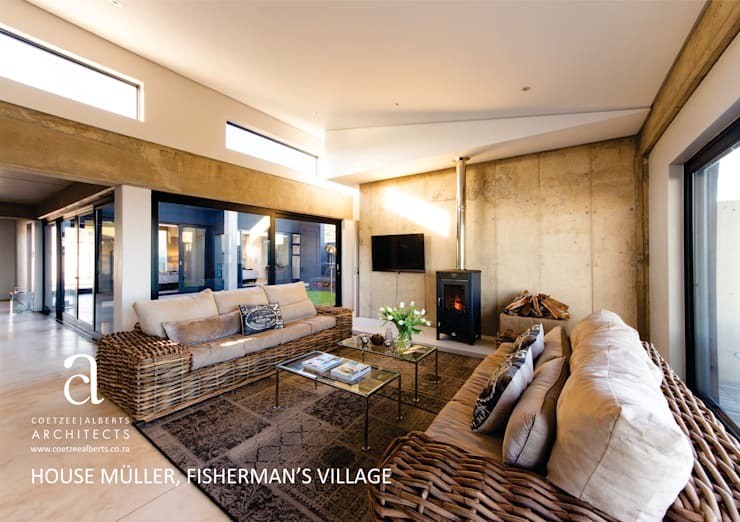 Strategically laid out, the house was built in such a manner to invite in as much northern sun as possible, as well as ample doses of natural lighting, as can be seen in the brightly lit living room above. Right opposite the living room we find the dining area, with both rooms sharing the same open-plan layout with the kitchen, visible in the back. Neutral tones take stylish control of the colour palette, reminiscent of lazy afternoons on the sun-clad beach. A delicious mixture of materials conjure up an interior space that is full of character, with marble, wood, stone, rattan, and glass all playing their modern parts with perfection. The path and procession throughout the house was planned in such a way that the sea view could always be enjoyed, regardless of where in the house you are located. Here we get a glimpse of the ultra modern kitchen flaunting a neat and clean look thanks to its contemporary style and white tones. Notice how the aesthetic levels of the scene increase with the ocean view visible in the backdrop. A fresh little courtyard is located in the middle of the house, pristinely manicured and expertly maintained. Located here is a modest swimming pool, which plays in integral part in the house’s design. 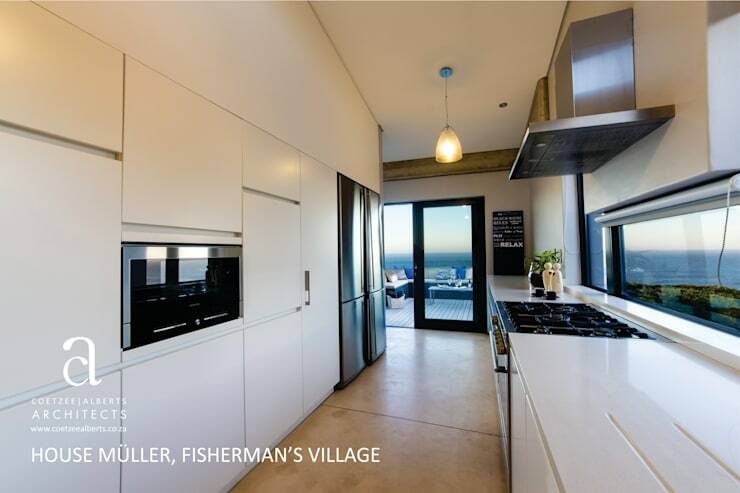 It functions as a cooling device during the summer months, its water is reminiscent of the ocean located right outside the house’s façade, and it also connects the more public courtyard with the private interior rooms of the house, such as the bedroom. We thought we’d save the best for last – the sea view from the backyard patio. Here is where a spacious timber deck stretches out, presenting more than ample space for stylish loungers and an exterior seating area. A selection of wooden panels offer a touch of shade during certain times of the day, yet we are more than inclined to put up with a little sunshine if it means more time with that gorgeous seascape. 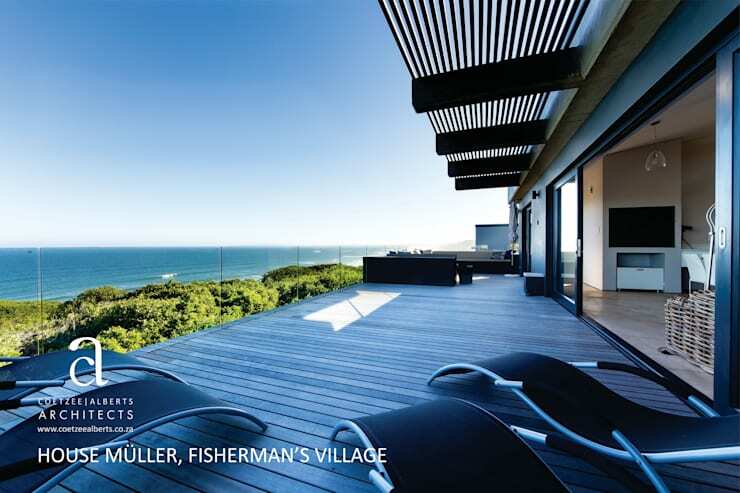 Crystal-clear glass balustrades offer a clear view of that unrivalled scene: the deep blue Indian Ocean stretching out as far as the eye can see. Want to relax with some more sea views? 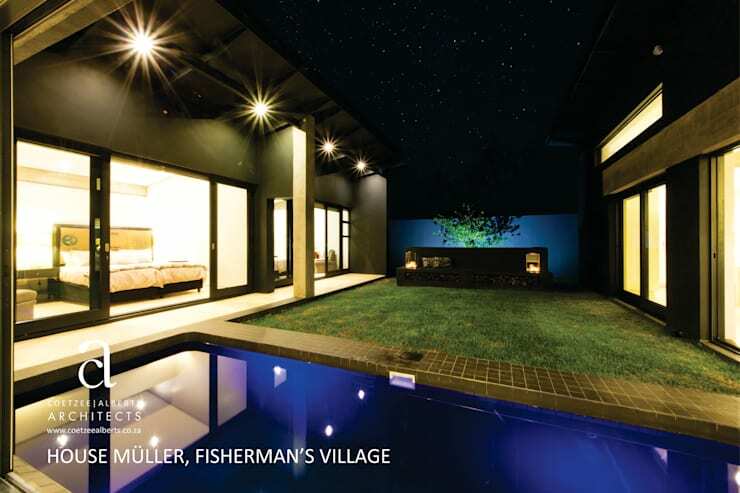 Then scope out: A Dream Home By The Sea.